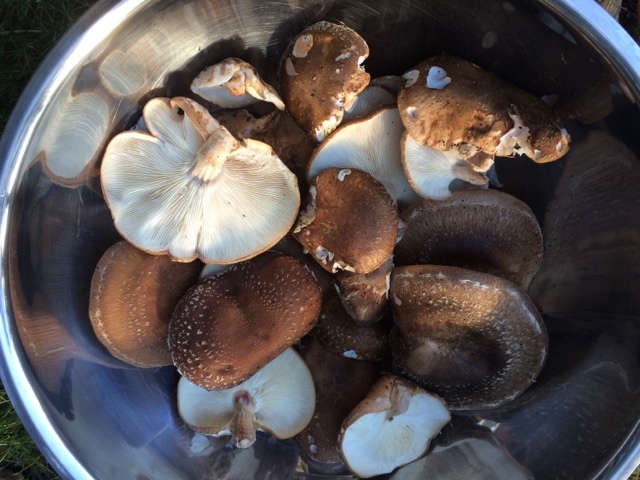 We had a decent crop of shiitake mushrooms this fall. I'd innoculated several oak logs a couple years ago with mushroom spawn. Half were subsequently colonized by shelf mushrooms but the rest are producing tasty shiitakes. The trick is to check on your logs often during the spring and fall months. I've lost a few big harvests simply because of neglect. 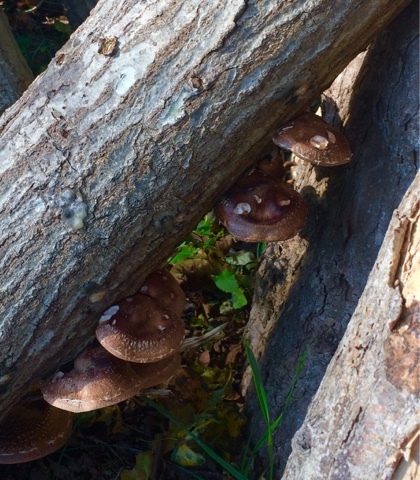 All in all, growing mushrooms on logs is a fun gardening project. Growing mushrooms is on my list of future projects - yours look great! in the future. I have found another good website. you can visit this website Pay someone to professional essay writing services our service Cities as well as report publishing provider just about all.